Fruity beer and mellow that has matured in barrels which have contained different jamaican and carrabbean rums. Fruity beer, ruby color. It's a light and mellow beer, complex body. It is aged in american barrels during 57 days wich have contained different jamaican and carribbean rums. The result is a unique taste of fruits, malt on a typical spicy rum finish. 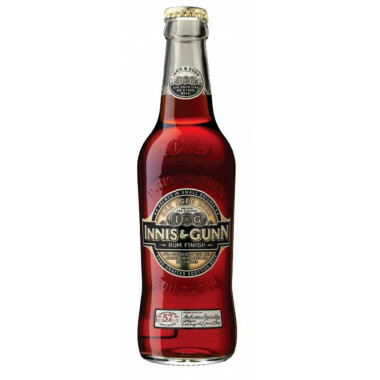 Innis & Gunn Rm Finish in brewed in Scotland and has won the Grand Or medal at the "Monde Selection Award 2014" in Brussels. The brewery accidentally discovered that the beer taste improved considerably when matured in oak casks. Indeed, in 2002, a famous whisky distiller wanted to impart a sweet malted taste, characteristic of beer, to oak casks and then use them to age whisky. The beer stayed up to 30 days in the oak cask, and then was thrown away and replaced by whisky, which was a success. But a while later, some distillery employees tasted the beer aged in the cask and found it amazing. 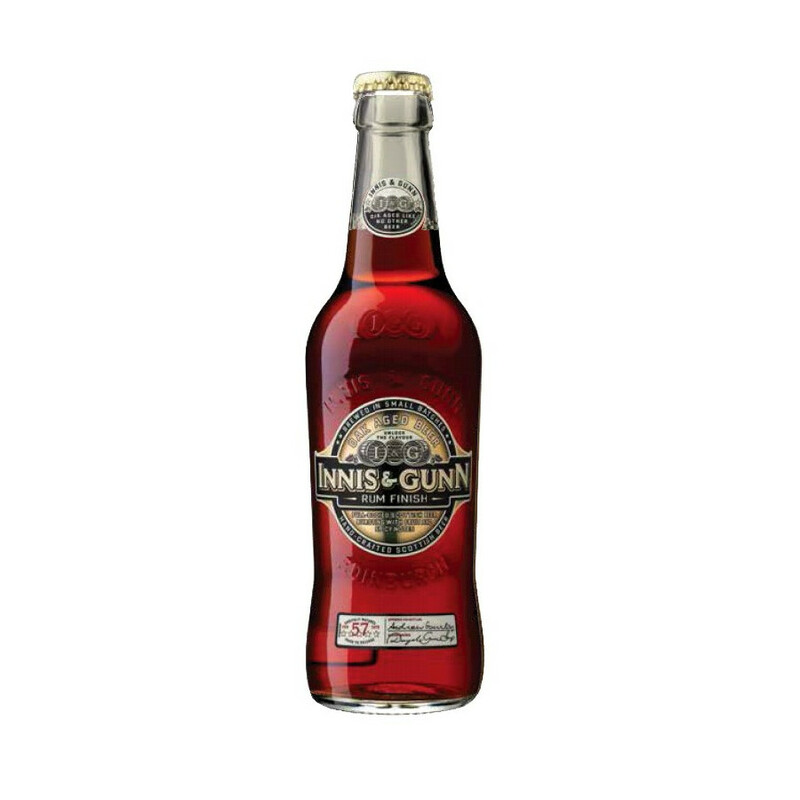 Innis & Gunn Original is a blond beer, smooth and mellow that has aged in oak barrels. Nose : fruity and spicy. Palate : light, fruity and malty with rum spices. Finish : warm and mellow. This beer has received numerous prices, such as the gold medal at the "Monde Selection Awards" in 2014. This award is given to beers that have won medals three years in a row.